Louis and I are home after two weeks in Las Vegas. What a great way to kick off summer vacation! It was a meaningful trip for a few reasons... not sure how many of those things I will get into here on the blog, but there's one I'll share now. My niece, Jessica, graduated from high school! I watched with wonder as my sister groaned in agony every few minutes on the tiny bed in her private birthing room, with a variety of beeping machines attached to her. My mother stayed at her side, smoothing my sister's hair from her face. Everyone was so quiet, talking in hushed tones. I vaguely remember my brother-in-law intermittently, quietly, getting styrofoam cups of chipped ice for my sister from somewhere down the hall. It seemed like this pattern of her groaning/ curling in fetal position and then just looking generally uncomfortable went on forever, until suddenly, the doctor came in and my dad and I were sent to the waiting area. But I couldn't wait. I stood outside the door and not much later heard a cry that made tears roll down my cheeks. The next thing I remember was going in to see my sister (exhausted) and the baby. Her name had been picked out months before, but there was still one surprise: the thatch of bright red hair on this baby's round, healthy head. It was her signature feature for a long time -- shocking red hair offset by dark brown eyes. This is a familiarly constructed garment for me -- similar to my beloved New Look 6239 -- and it went together in an hour or so, not including the time it took to select a size, lay out, and cut. Unlike that big newborn baby (almost 9 lbs), the full-grown Jessica is 5'8". (!!!!!!) I thought at first that I might need to lengthen the bodice, but I took all the measurements and the size 16 all the way through worked well in the end. She likes it and now that I know this pattern works for her, I will probably make a solid-color version and a jumper dress for her. I might post a pattern review tomorrow at PR.com but tonight I shall sleep. I'll post my other sewing projects from Las Vegas soon. Hope you're all doing well managing into summer! Very special story! Thanks for sharing. The top is adorable. I am finding more late teens interested in sewing--our babysitters love seeing my projects. So funny because sometimes I get sewing ideas from all their name brands! Anyway...glad you had a wonderful trip. We were just in Vegas for a long weekend! Did you grow up there? We were with kids so we saw a lot outside the "strip" It was a great trip. Great story. It is all very different from the inside isn't it! I am due for my second in 7 weeks and just remembering how amazing the world looked from the other side. Lucky. Ask me again in seven weeks and I might have another word for it though! Time passes so quickly. I recently attended a 21st for twins who I've known since they were in nappies. I had never attended a birth before my own - it must've been a bit scary for you! Very cute top, she looks gorgeous! And an hour to put together - genius. I have two yards of that same exact fabric. My oldest wants me to turn it into a nightgown. Tell your niece she looks wonderful! Thank you for the beautiful story. Congratulations to your niece on graduating! That's a big step :-). She has great taste in fabric, and the shirt looks great on her. I'm sure she'd love it in a solid and as a jumper as well. Nice work! That's such a cute top! I love the colors & it looks really floaty and wonderful for summer. 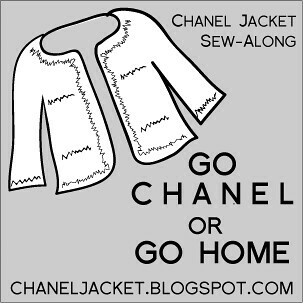 I think you've created a new blog genre... emotionally linked sewing projects. :) thanks for sharing.